Out drawing again this morning. I had to shelter under the beach huts for a while as I was caught out by a fierce rain shower. 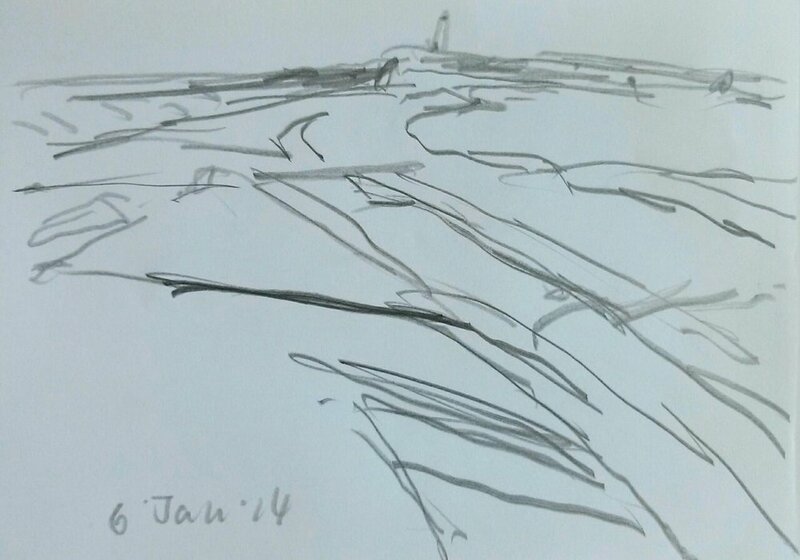 This is location for the current painting, looking along the coast to the radar mast at Holland Haven. The drawings take in a slightly wider angle and include a little more of the steps on the right and the concrete track. 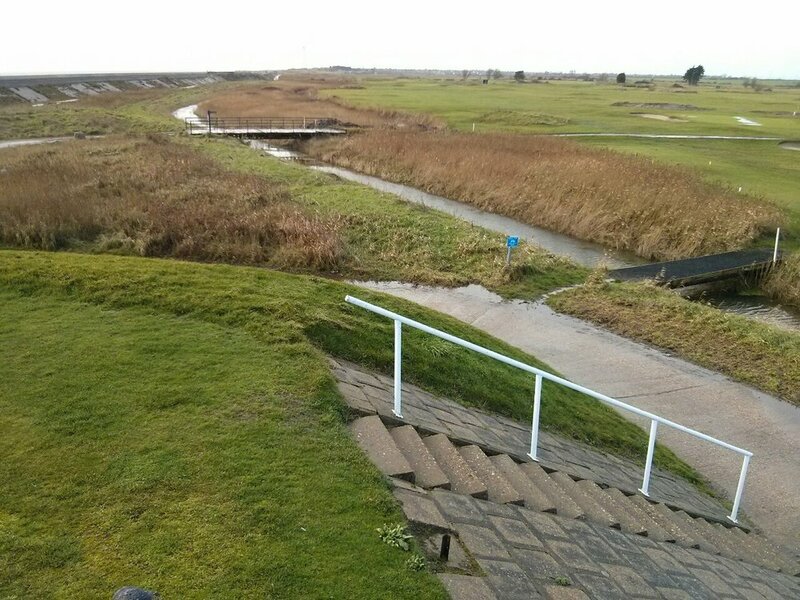 The near grass is a golf tee tucked in behind the seawall.